A casual consumer of media commentary on Donald Trump's presidency must be suffering whiplash right now. Having been told endlessly that Trump was either unhinged or had fascist tendencies, we are now to believe that his speech to the US Congress on Thursday was so good that it has transformed him into a truly 'presidential' figure. Why 'presidential'? Because he behaved more like his predecessors, leant heavily on safe topics such as the sacrifice of US soldiers, and used familiar homilies about a 'new chapter of American greatness' and a 'renewal of US spirit'. So all of a sudden, it has become easier to insert Trump into our mental model of what a US president should be. But it is a mistake to think we can now safely 'normalise' Trump's presidency. He is still an extraordinary figure and, in terms of America's relations with the world, he represents a clear break with the past. Let's start with the fact that Trump openly endorses economic protectionism. In his address to Congress, he even allied the sainted Lincoln to his cause. This is a massive rhetorical shift. Granted, previous administrations have put in place various protectionist measures under different guises, but all have at least paid lip service to free trade and none would have dared use the word 'protection' in anything but pejorative terms. Yet Trump shouts the benefits of protection as if the Great Depression never happened, and is openly contemplating the idea of across-the-board tariffs on all imports. With a single off-the-cuff rhetorical question, Trump swept away the shibboleth that the US has been anointed by history to play a special role to bring freedom and justice to world affairs. For Trump, America is a country like any other, one that makes deals and will kill to serve its interests. Yes, there was dissent from parts of the US foreign policy establishment for Trump's heresy, but nothing like the howls of protest when President Obama, early in his first term, suggested that although America was an exceptional nation, Greeks probably felt the same way about Greece, and Brits about Britain. Now the Washington political establishment, which puts American exceptionalism at the core of its identity, looks exhausted and defeated. The President and his supporters have no affinity for the idea that the US is, in the words of Madeleine Albright, the 'indispensable nation', the guarantor of the global rules-based order. 'My job is not to represent the world. 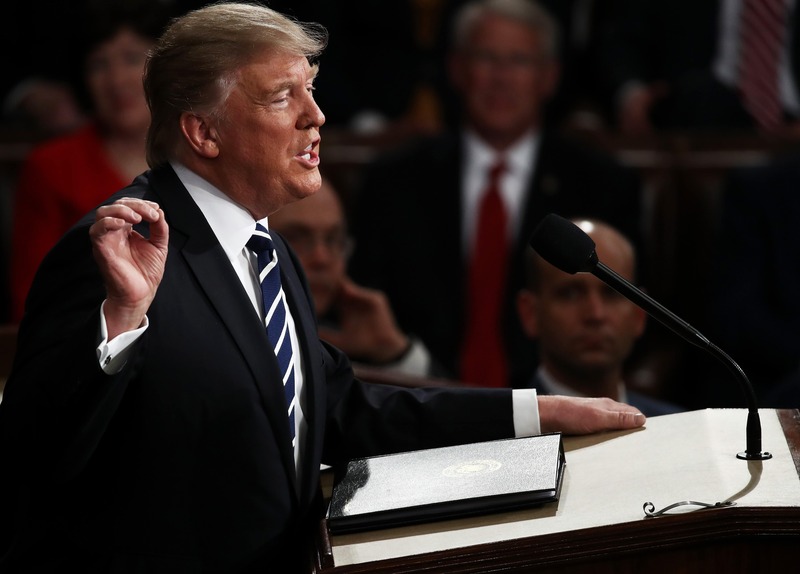 My job is to represent the United States of America,' Trump told Congress. America's friends and allies are naturally concerned about this jarring shift. The Asia-Pacific has benefited enormously from America's regional leadership, which has brought strategic stability and economic opportunity. But America's military disasters in the Middle East, its deep recession and the slow decline of its political institutions suggest that the US lacks the resources to play this role any longer. Trump's election indicates that it surely lacks the national will. Worries about America's turn are compounded because it is happening just when the US faces a true peer competitor, China. Beijing's behaviour in the South China Sea indicates that China does not subscribe to Washington's definition of the 'rules-based order'. And although Beijing's focus remains largely on its own region, President Xi Jinping's recent speeches describe an ambition for China to become a truly global leader. Yet Trump's instinct to view America as a normal great power rather than an exceptional one could benefit the region and the world in the long term. An America that insists on maintaining allegiance to the national myth of exceptionalism, but lacks the will or resources to back it up, is more dangerous than an America that is fully reconciled to its new place in the global order. In that new order, Washington will increasingly need to negotiate with Beijing on major global issues, and occasionally compete with it. The trick for America's friends and allies is to ensure that the transition occurs smoothly and peacefully.